Muscle Glutamine helps you rebuild and recover from even the toughest of workouts. Intense activity will deplete glutamine, an amino acid necessary for protein and muscles synthesis. 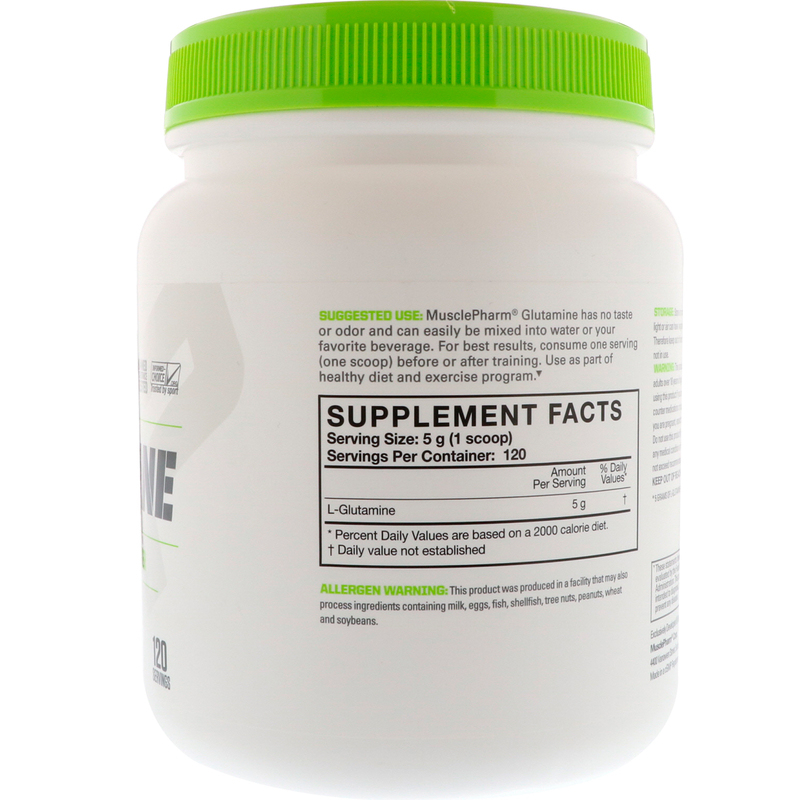 Whether you follow an advanced training routine or are just starting one, MusclePharm Glutamine delivers a substantial, 5 gram serving of pure L-Glutamine to help support your goals. 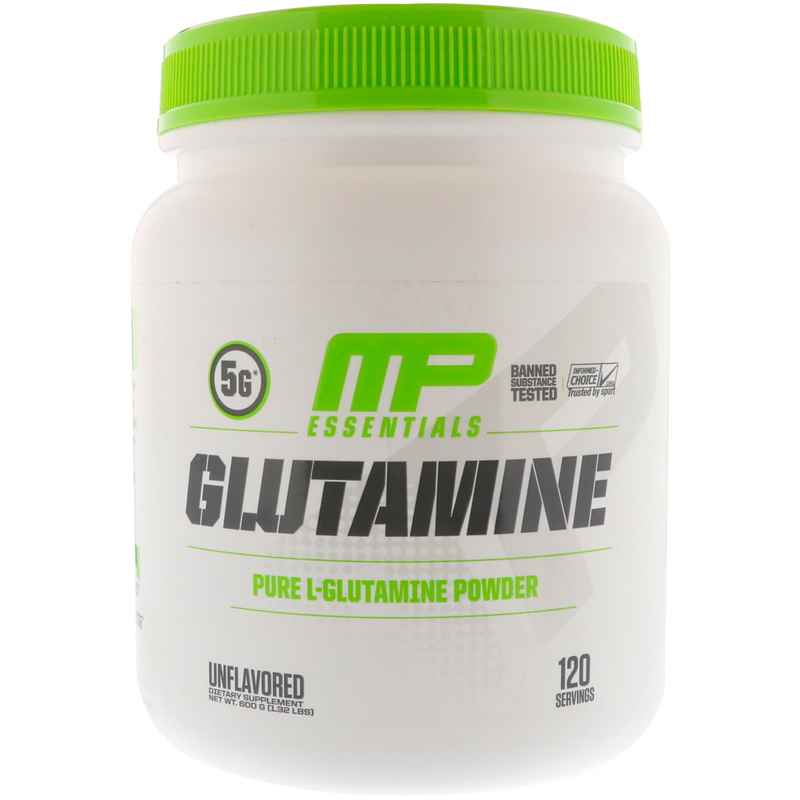 MusclePharm Glutamine has no taste or odor and can easily be mixed into water or your favorite beverage. For best results, consume one serving (one scoop) before or after training. Use as part of healthy diet and exercise program. Allergen Warning: This product was produced in a facility that may also process ingredients containing milk, egg, fish, shellfish, tree nuts, peanuts, wheat and soy beans. Made in a cGMP Registered Facility.